Fashion foodies, get ready for a culinary delight. 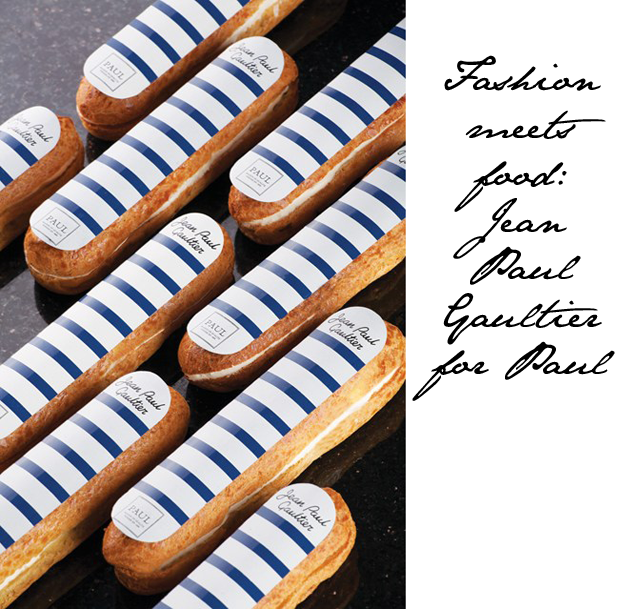 The patisserie Paul is creating a special eclair to celebrate Jean Paul Gaultier's exhibition at the Barbican Art Gallery here in London. The exhibition opens on April 9th. Yup, it's just around the corner. So grab a Breton striped eclair and get yourself down to the Barbican to check out everything wild and wonderful from Jean Paul Gaultier. Fashion and food... we're in heaven! For those of you wanting more info on the exhibition, check this out..